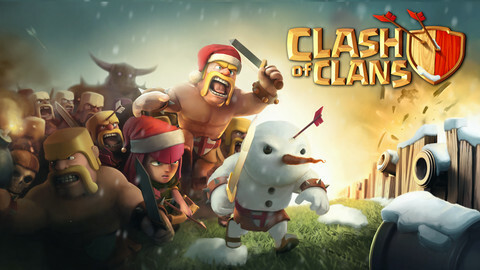 Version 2.111 introduces winter themes and surprise traps. To add a festive flavor to proceedings, snow now falls gently across the lands, and you can even surprise your enemies with the all-new Unpleasant Present explosive trap. A new spell allows you to ask Santa if he wouldn't mind bombarding your enemies when he has a moment, and there's even a rare hidden Christmas tree lurking around somewhere. - Offered matches will now be a lot better and closer to your own trophy count. - Queue system added! Less hitting of the "Find a match" button. - New system will work much faster than before. - Are you in a hurry? Now you can Boost up your resource buildings (starting up at level 5), Barracks (starting up at level 4) and Spell Factory. - Leaderboards now shows daily rank changes, see who rises and who falls! - Introducing Army Camp level 7, now you can create even bigger armys! - Attention Town Hall level 9 owners! You can now build an additional Cannon! - Added more space to the village to make it easier to move things around and build bigger villages. 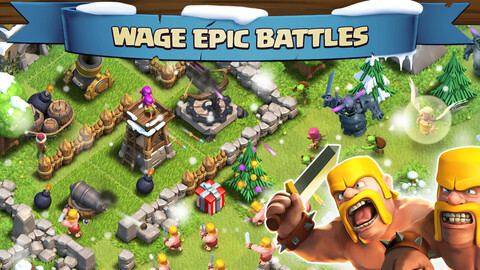 - Decorate your village with the Statue of P.E.K.K.A.! Only available to players above level 75! 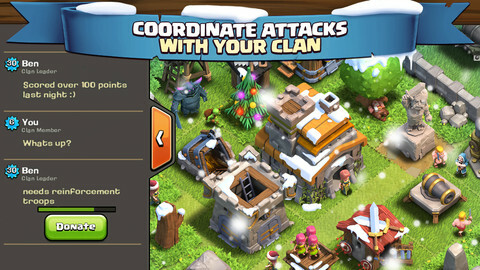 - Defending Clan Castle troops have learned how to jump over walls, just like the villagers do. - Town hall hit points were increased. - Healer hit points increased. - P.E.K.K.A level 2 and 3 hit points decreased. - Clan Castle shows activation radius once again.